If you work in the hotel industry, you already know how bad cell service can impact your business. From guest experiences to staff functionality, a strong cellular network is essential to keeping your hotel running smoothly. Let’s look at how one Texas hotel took their cellular network to the next level to keep guests happy and boost their business. Holiday Inn Express and Suites is a tourism-centric hotel located in Houston, Texas. Because of its metropolitan location, this hotel is popular with students, business travelers, and vacationers. Management and staff are well-aware of the need to appeal to this wide range of customers. Prior to implementing a successful solution, the hotel received a large number of complaints about bad cell service. Customers reported poor connectivity, and some claimed that the reception was virtually nonexistent within certain rooms and hallways. This was deeply impacting guests’ ability to communicate with one another and with those outside the hotel, which was a particular concern for business travelers. In addition, poor cell service at the hotel was negatively affecting the staff. The management team often found themselves struggling to reach staff cell phones located in poor service areas, making even the simplest operational conversations difficult or impossible. Hotel management was desperate for a solution. Without better cellular connectivity, they knew they could potentially lose both loyal business clients and tourism business. So, they did their homework. 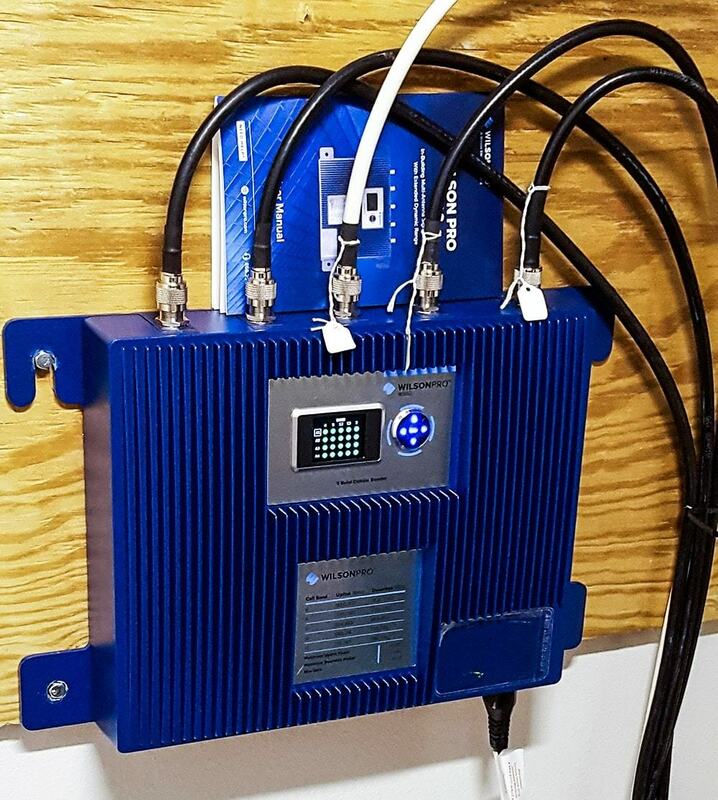 With a recommendation from SignalBooster.com, the hotel installed a commercial-grade WilsonPro 4000 amplifier kit on several of their floors where the poor signal had been most problematic. WilsonPro devices are powerful connectivity catalysts that support 2G, 3G, and 4G systems for all carriers. This was a particularly important point for the hotel, as it would ensure equal access to the network for all of their guests. Each WilsonPro booster can support an unlimited number of users at the same time, covering up to 100,000 square feet of service area. Staff at the Holiday Inn and Suites hoped that by installing these boosters, customers could depend on a more reliable network and guest engagement experience. After installing WilsonPro boosters throughout the hotel, management reported a vast improvement in signal where they had struggled previously, including communal spaces, hotel rooms, and hallways. Customer complaints –– and the dead zones that caused them –– were virtually eliminated. Hotel management was also pleasantly surprised to find how the booster installation affected staff functionality. Issues with staff to staff communication depleted due to 100 percent connectivity within the building. So, in addition to improved guest satisfaction, hotel management saw increased confidence in their back-of-house operations. The bottom line here: boosters boost business. If you are a hotel manager or operator and you’re seeing the negative effects of poor cellular connectivity in action, contact WilsonPro. WilsonPro offers carrier-agnostic booster solutions that can improve existing cell service by up to 32 times. The installation process is minimally invasive, so your guests and staff won’t need to deal with disruption and inconvenience. And, most importantly, your guests and staff will immediately experience the benefits of better cell signal.